"There was a time when it was always summer, and life for the animals was peaceful and worry free. Then, one day, winter came to the forest for the very first time…" Baobab Studios has released a trailer for an indie animated short film titled Crow: The Legend, being distributed on VR platforms and also on YouTube this month. Inspired by the original Native American tale of the Crow, the short film features a bright and colorful crow who must make a sacrifice when winter arrives to save his friends. John Legend voices Crow, and the cast includes Oprah Winfrey, Constance Wu, Tye Sheridan, Diego Luna, and Liza Koshy. Executive produced by Baobab Studios, Get Lifted, and Native Americans in Philanthropy. This is one of a few high profile VR shorts, interesting to see this story being told in this way. Worth a look. 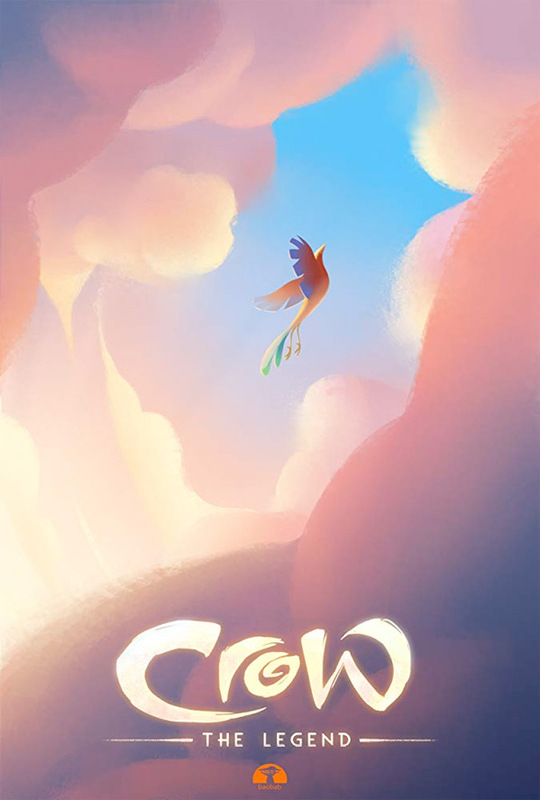 Crow: The Legend is a exciting new animated movie starring John Legend as Crow, the most popular and admired animal in the forest with his magnificent colors and beautiful voice. But when the very first winter arrives, can Crow make the ultimate sacrifice to save his friends? Crow: The Legend is both written and directed by filmmaker Eric Darnell, director of the animated films Antz, Madagascar, Escape 2 Africa, Madagascar 3: Europe's Most Wanted, and Penguins of Madagascar previously. Inspired by the original Native American legend, this story of sacrifice and community features Randy Edmonds, Kiowa-Caddo tribal elder and founder of the National Urban Indian Council as Narrator and Sarah Eagle Heart, CEO of Native Americans in Philanthropy, as Luna. Baobab Studios will release Darnell's Crow: The Legend on YouTube + Interactive VR (Oculus) starting on November 15th. For more info, visit the official website.